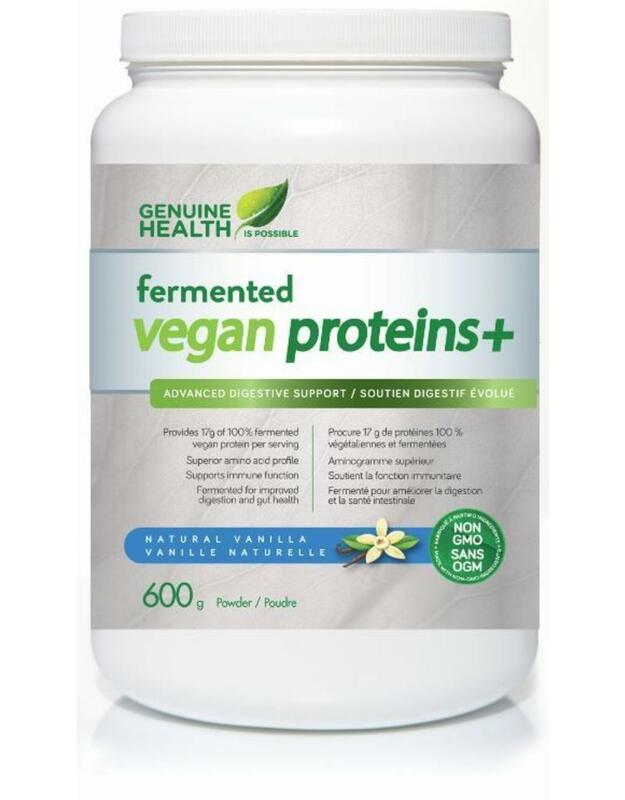 Only Genuine Health fermented vegan proteins+ contains a custom formulated blend of carefully selected high quality vegan ingredients that are all exceptionally high in protein content and together provide a unique and synergistic source of high quality fermented protein. 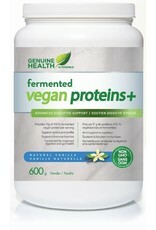 fermentation for optimal health benefits. The Finished product is packed full of nutritional value, predigested and ready for your body to use. In no other product can this custom blend be found! Non-Medicinal Ingredients: (Natural Vanilla Flavour Only): Natural Vanilla Flavour Blend, Organic Stevia Leaf Extract, Xanthan Gum, Lo Han Guo (Monk Fruit) Extract. Mix 1 scoop (29.5 g) in 1 cup (250 mL) of water. Shake well. Store in a cool, dry place.